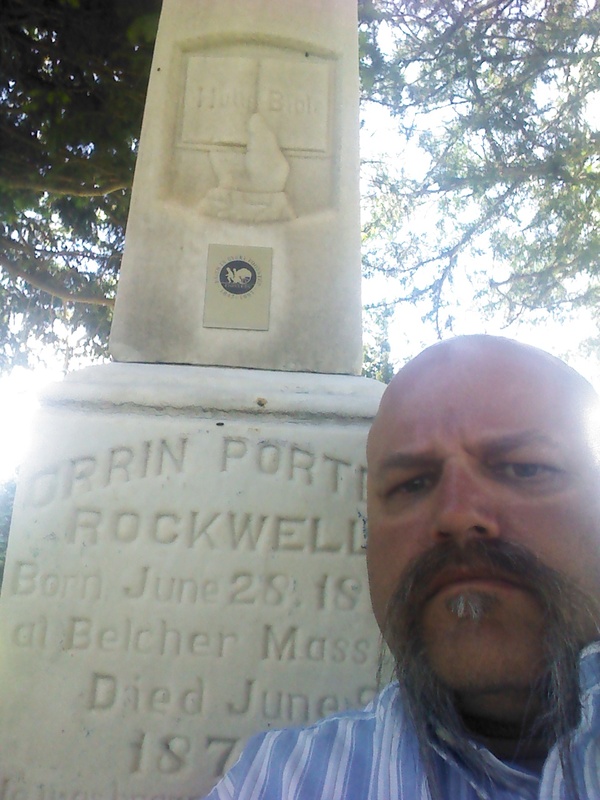 Riding home, I had the thought to stop by the Salt Lake City Cemetery and see my old buddy Porter Rockwell. I’m in a spot where the storyline of my work in progress about him is not working for me, something is wrong. A visit with my main character seemed a good idea; see what he thought about it. It had been a little while, at least the other side of the winter, since I last stopped. I never know what I’ll find there. I’ve seen empty bottles from someone sharing a six-pack, coins, and a guitar pick. There’s a picture on the internet of someone leaving a .45 caliber cartridge at least once. Often, there’s flowers and the grass in that spot is worn out. Obviously, I’m not the only one who visits. 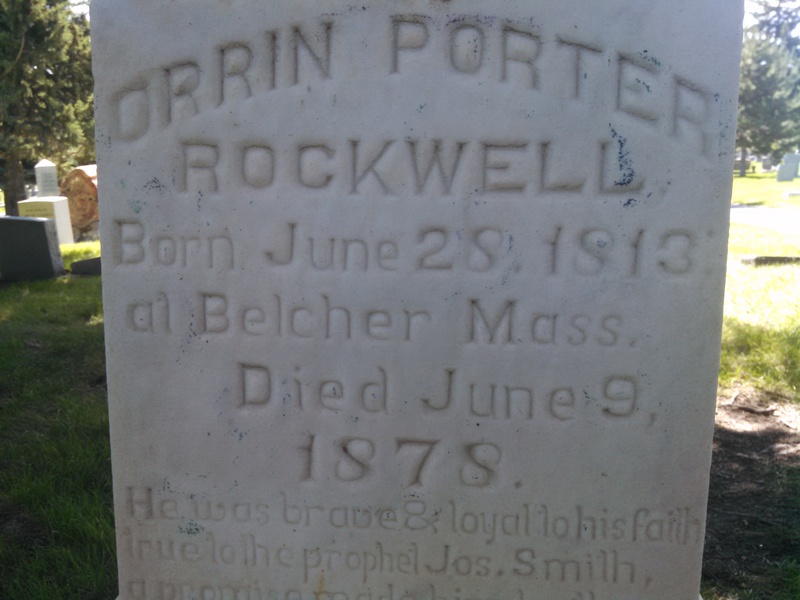 I should’ve already known this, but when I looked at the headstone, it was 137 years to the day that he passed. June 9, 1878. I try not to be spooky but it seemed an odd coincidence. 137 years after I die, I doubt anyone will be visiting my grave. And that’s where the reality of what I’m doing hit. He’s not just a character in my book, Porter Rockwell represents something to a lot of people. Even after 137 years. It’s not just his rebellious spirit. It’s not just his bad assedness. It’s not just his loyalty. And it’s not just his Wild West Marshalling stories. It’s all of it put together. And that is what’s not setting right with me. In my story, I’m not maintaining the whole man. Even in fiction, he’s larger than life. I think in my first book I got it right. But somewhere in the “artistic license” of the sophomore project, I strayed from what he means to me, and strayed from his 137 year-old legacy. I strayed from the reason people share a beer with him, share their music, bring him flowers, and leave him bullets. I missed the mark the straight-shooting, dead-eyed, gun slinger had set. In the spirit of the man, I need to redo it, stretch higher, and dig deeper. This work is not just for and about me, it’s about Porter and for the people who, like me, still find inspiration and strength from a man that has long since moved on. Thanks Porter. You’re still amazing.